The World Movement for Democracy expresses its deep concern over the unjust 10-year sentence handed to journalist and researcher Ismail Alexandrani by an Egyptian military court on May 22, 2018. Alexandrani, a winner of the World Youth Movement for Democracy’s International Essay Contest on Youth and Democracy, is a well-known expert on Sinai affairs and Islamic movements in Egypt. He also previously served as a Reagan-Fascell Democracy Fellow at the National Endowment for Democracy and as a researcher at the Egyptian Centre for Economic and Social Rights. The World Movement for Democracy expresses solidarity with activists arbitrarily detained and imprisoned in recent weeks and joins the international community in calling for the immediate and unconditional release of Ismail Alexandrani. Join us in telling the government of Egypt to #SetThemFree by sharing this alert! In a span of several weeks, human rights activists throughout the North Caucasus have been targets of violent attacks and intimidation. On January 17, 2018, the offices of Memorial Human Rights Center in Ingushetia were torched and destroyed by unidentified masked men. Memorial is one of the most prominent and effective human rights organizations in Russia with satellite offices in 49 regions. One week earlier, Oyub Titiev, leader of the Memorial Human Rights Center in Chechnya, was arrested for marijuana possession. A devout Muslim who abstains from alcohol and drugs, Titiev vehemently denies these charges and says the police planted the drugs. At his hearing, the court detained him for two months while the investigation is ongoing, and he faces up to 10 years in prison if found guilty. Titiev, who had a dental appointment scheduled on the day that he was arrested, is currently having difficulty eating and is being denied access to a doctor. The World Movement condemns these transparent acts of intimidation and urges the Russian government to denounce violence against the human rights community. Join us in solidarity with Memorial, Titiev, and Rudomakha by sharing their stories and urging for the charges against Titiev to be dismissed and the crimes against Rudomakha and Memorial to be investigated. 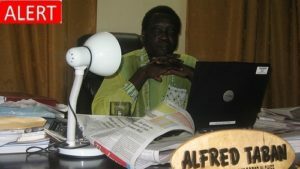 UPDATE: On April 17, 2017, Equatoguinean security authorities arrested human rights activists, Enrique Asumu and Alfredo Okenve, the President and Vice President of El Centro de Estudios e Iniciativas para el Desarrollo (CEID), a local human rights organization advocating for social justice issues. After eight days in arbitrary detention, CEID reported that Asumu was released and received urgent medical assistance. However, Okenve is still behind bars – click here to join us in sharing a solidarity tweet calling for his release. On the night of April 16, 2017, airport police and Equatoguinean security authorities prevented human rights activists Enrique Asumu and Alfredo Okenve from boarding a flight to Bata at the Malabo International Airport in Malabo, Equatorial Guinea. Asumu and Okenve are the President and Vice President of El Centro de Estudios e Iniciativas para el Desarrollo (CEID), a local human rights organization advocating for social justice issues, and were on their way back from an event celebrating CEID’s 20th anniversary. The next day, the Minister of National Security Nicolas Obama Nchama ordered their arrest. Security authorities interrogated them for more than five hours and fined them more than 10 million CFA (approximately $16,000) for organizing the event and operating CEID related activities, despite the government’s suspension of CEID last year. Now, other members of CEID who attended the event are concerned they will also face interrogations and arbitrary arrests. The government’s recent intimidation tactics are the latest in a series of actions targeting CEID and its work. On March 2, 2016, Equatorial Guinea’s Minister of Internal Affairs and Local Corporations, Clemente Engonga Nguema Onguene, ordered an indefinite suspension of CEID’s activities. According to Minister Onguene, members of CEID shared “messages aimed at inciting violence and civil disobedience among Equatoguinean youth” at a youth forum they organized in January 2016. The messages allegedly violated the country’s law on association; however, CEID argued their comments were protected under the constitutionally protected rights on freedom of expression. In September 2016, CEID resumed their activities after finding the indefinite suspension was only valid for three months. CEID is the co-founder of the Civil Society Coordinating Committee – a national coalition of 22 nongovernmental organizations working with the Extractive Industry Transparency Initiative (EITI), a global organization that promotes “open and accountable management” of national extractive resources. Because of its suspension, CEID relinquished its role as the coalition’s Secretariat. The World Movement for Democracy joins the international community in urging the government of Equatorial Guinea to meet the human rights standards outlined by the EITI, and end its harassment of civil society. Click here to join us in sharing a solidarity tweet! Several international civil society organizations have condemned the attacks against Azerbaijani activists such as the Huseynov brothers, and mobilized to build international pressure on the Azerbaijani government. On March 9, 2017, the Extractive Industries Transparency Initiative (EITI) suspended the membership of Azerbaijan for its violation of the EITI’s human rights standards. Earlier that week, human rights NGOs, Azerbaijani activists, and the UN Special Rapporteur on freedoms of assembly and of association discussed Mehman’s arrest and human rights in Azerbaijan at an event entitled “Azerbaijan: Continued Repression of Civil Society and Human Rights Defenders” in Geneva, Switzerland. A representative of the Republic of Azerbaijan to the UN Office and other International Organizations in Geneva criticized Mehman at the event, and accused the award winning journalist of belonging to the lazy “Facebook generation.” The Azerbaijani media outlet SANCAQ live streamed the event, which can be viewed here. On January 16, 2017, leading members of Azerbaijani civil society issued a public letter urging the Parliamentary Assembly of the Council of Europe (PACE) to respond to human rights violations in Azerbaijan. The letter asked for a reinstatement of a special rapporteur on political prisoners in Azerbaijan, the appointment of an ethical commission to the Council, and an independent investigation into allegations of corruption in PACE. Shortly after the letter was published, the current President of PACE Pedro Agramunt called upon Azerbaijani authorities to release political prisoner and leader of the Republican Alternative Movement (REAL) Ilgar Mammadov. Mehman now joins Ilgar and at least 119 other political prisoners, who are behind bars because they expressed dissent in Azerbaijan. On November 30, 2016, Ethiopian authorities detained Dr. Merera Gudina, a prominent Ethiopian scholar and chairman of the Oromo Federalist Congress (OFC). He was arrested at Bole International Airport in Addis Ababa, upon his return from Belgium, where he testified before the European Parliament about human rights abuses in Ethiopia. Join us in calling upon the Ethiopian government to immediately and unconditionally release Dr. Merera Gudina by sharing this tweet. The picture that sparked controversy; pictured from left to right, Dr. Berhanu Nega, Dr. Merera Gudina and Feyisa Lilesa. At the November 9, 2016 hearing, Dr. Gudina testified alongside Dr. Berhanu Nega, an exiled opposition party leader, and athlete Feyisa Lilesa, whose solidarity gesture at the 2016 Rio Olympics raised the profile of the protests in Ethiopia’s Oromia Region. Dr. Nega is a leader of the Patriotic Ginbot 7 (G7), an opposition group that is considered to be a “terrorist organization” by Ethiopia’s ruling party. Dr. Gudina’s arrest means that almost all of OFC’s senior leaders are in detention. Currently, six of his colleagues are on trial for terrorism charges, another is under house arrest, and many members of the party have been jailed. Since protests began in November 2015, more than 400 people have been killed in Ethiopia and at least 11,000 have been detained. The World Movement for Democracy is alarmed by the Ethiopian government’s escalating crackdown on dissent, and urges the state to respect the human rights of its people. The World Movement of Democracy is concerned about new developments following the Sudanese National Intelligence and Security Services’ (NISS) arrest of six Sudanese activists on May 22, 2016. The activists are affiliated with a Khartoum-based organization, Center for Training and Human Development (TRACKS). Three of the arrestees, Arwa Al-Rabie, Imany-Leila Ray, and Al-Hassan Kheiry, were released on bail after 10 days of detention. However, Midhat Hamadan and Mustafa Adam (who face additional charges under the Information Crimes Law), and Khalaf-Allah A. Mukhtar, remain detained in Al-Huda Prison in Omdurman North, Sudan. After 86 days in detention without being charged, they are now facing four charges including espionage and terrorism. NISS has harassed the TRACKS Center for the past two years. On March 26, 2015 and February 29, 2016, NISS officers raided the TRACKS premises, confiscating electronic equipment and documents. Those raids also resulted in separate espionage and terrorism charges against Mukhtar and Hamadan, among others. During the last few months, TRACKS staff have been subjected to repeated summons, inhumane jail conditions, unexplained long-term detention, and delayed court sessions. Some of the TRACKS activists’ family members have also been targeted by NISS. After many delays, the accused are finally scheduled to appear in Central Khartoum Criminal Court on Wednesday, August 24. The World Movement for Democracy condemns NISS’s unacceptable treatment of civil society and urges the government of Sudan to unconditionally release the activists and drop all charges against them. If the Sudanese government moves forward with the trial, the activists must be given a transparent, fair, and speedy trial. We stand in solidarity with other civil society organizations gathering at the Khartoum Criminal Court on August 24, 2016, at 11 A.M. in support of TRACKS staff. Join us in tweeting the following statement: #ATTN Gov’t of #Sudan: End harassment of #TRACKS activists & #SetThemFree! 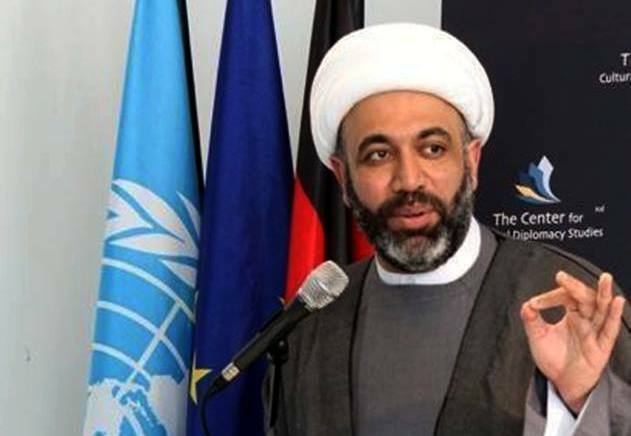 As reported in our August 12 alert, Bahraini authorities detained and interrogated Sheikh Maytham Al-Salman on Sunday, August 14. After a grueling, twelve-hour interrogation, Bahraini authorities held Al-Salman at their facilities overnight. Violating the activist’s right to freedom of expression and peaceful assembly, authorities charged him with participation in an “illegal assembly.” On Monday, August 15, Al-Salman appeared before the Public Prosecution, and was released on bail. Although Al-Salman was released, the charges were not dropped. Al Salman is just one of several prominent Bahraini civil society activists who have recently faced increasing intimidation by authorities. 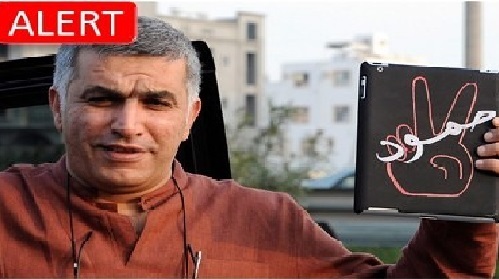 Nabeel Rajab, President of the Bahrain Center for Human Rights (BCHR), is currently imprisoned and faces up to 15 years in prison if convicted of “spreading false news.” The World Movement will continue to follow and update you on the status of Al Salman and Rajab’s cases. On July 13, 2016, Carlos Amel Oliva, leader of the youth wing of the Patriotic Union of Cuba (Unión Patriótica de Cuba UNPACU) one of the largest civil society groups in ‪#Cuba‬, declared himself on hunger strike after Cuban government officials confiscated his laptop, cell phone, and other personal items upon his return to Cuba from a trip to the United States. Soon thereafter, over a dozen more members of UNPACU joined Oliva in solidarity and declared themselves on hunger strike, calling on the government to cease its repression against human rights defenders. Further, on July 20, 2016, leading Cuban ‪‎dissident‬ and Sakharov prize winner, Guillermo Farinas, began a hunger strike after being physically assaulted by state security officials. Farinas has vowed to continue his strike until the government publicly announces an end to its violent tactics. A number of the hunger striking activists are already suffering health consequences, but have remained firm in their resolve. According to the Cuban Observatory for Human Rights (OCDH), there have been over 7,000 short-term political detentions since the start of 2016, marking a sharp increase in the number of detentions and violence against peaceful activists in comparison with 2015. As such, the human rights landscape in Cuba continues to rapidly deteriorate. On August 3, 2016, the Latin American and Caribbean Network for Democracy (Red Latinoamericana y del Caribe para la Democracia) issued a statement of concern about the grave conditions Olivia, Farinas and numerous other human rights defenders face in Cuba. The World Movement for Democracy joins REDLAD and the international community in its unequivocal solidarity with Oliva, Farinas, and all other activists on hunger strike in Cuba, and calls upon the Cuban government to immediately end its systematic violence, harassment, and intimidation of human rights defenders and opposition activists. Más de Una Docena de Activistas Cubanos en Huelga de Hambre por los Derechos Humanos Más de Una Docena de Activistas Cubanos en Huelga de Hambre por los Derechos Humanos El 13 de julio de 2016, Carlos Amel Oliva, líder del ala juvenil de la Unión Patriótica de Cuba (UNPACU), uno de los grupos más grandes de la sociedad civil en Cuba, se declaró en huelga de hambre después de que funcionarios del gobierno cubano le confiscaron su laptop, teléfono celular y otros artículos de uso personal a su regreso a Cuba de un viaje a los Estados Unidos. Poco después, más de una docena de miembros de UNPACU se unieron a Carlos Amel en solidaridad y se declararon en huelga de hambre, pidiendo al gobierno que cese la represión contra los defensores de derechos humanos. Además, el 20 de julio de 2016, líder disidente cubano y ganador del premio Sajarov Guillermo Fariñas inició una huelga de hambre tras ser golpeado por funcionarios de la seguridad del estado, y ha prometido continuar con su huelga hasta que el gobierno anuncia públicamente un fin a sus tácticas violentas. Varios de los activistas en huelga de hambre ya están sufriendo consecuencias de salud, pero se han mantenido firmes en su resolución. De acuerdo con el Observatorio Cubano por los Derechos Humanos (OCDH), han habido más de 7.000 detenciones políticas a corto plazo desde el inicio de 2016, marcando un fuerte incremento en el número de detenciones y la violencia contra activistas pacíficos en comparación con el 2015. Por lo tanto, el panorama de los derechos humanos en Cuba sigue deteriorándose rápidamente. Red de América Latina y el Caribe para la Democracia (REDLAD) han emitido declaracionmes de preocupación y han reiterado sus llamados a un mayor respeto de los derechos humanos en la isla. El Movimiento Mundial para la Democracia (WMD) se une a la comunidad internacional en su solidaridad inequívoca con Carlos, Guillermo, y todos los demás activistas en huelga de hambre en Cuba, y exhorta al gobierno cubano a poner fin inmediatamente a su violencia sistemática, el acoso y la intimidación de los defensores de derechos humanos y activistas de la oposición. UPDATE: Nabeel’s health has continued to deteriorate in jail due to denial of medical services. It came to light that Rajab’s charges were related to his tweets that criticized the use of torture in Bahraini prisons. Though Rajab’s trial was originally scheduled for September 5, 2016, it has been postponed to October 6, 2016. New charges have also been pressed against Rajab in relation to the letter he wrote from jail that was published in the New York Times. On June 13, 2016, Bahrain authorities arrested and detained Nabeel Rajab, a prominent human rights activist and the president of the Bahrain Center for Human Rights. During the raid, authorities also seized the activist’s electronic devices without explanation, according to his family.Rajab’s arrest comes one week after the recently released, Bahraini activist, Zainab Al-Khawaja, left Bahrain for Denmark because of the government’s threats to imprison her again. Al-Khawaja’s exile and Rajab’s arrest are likely timed to prevent them from traveling to Geneva for the United Nations Human Rights Council (UNHRC), taking place June 13-July 1, 2016. Travel bans were also imposed – without explanation – on several other human rights defenders attempting to leave Bahrain for the UNHRC meeting. Rajab’s travel ban has been in effect for nearly one year, and he has been a target of government harassment since establishing the Bahrain Center for Human Rights in 2002.In May 2014, Rajab was freed after serving two years in prison for organizing and participating in illegal protests. In January 2015, Rajab was sentenced to six additional months in jail over remarks considered insulting to the kingdom’s security establishment. He appealed against the verdict, but an appeals court confirmed the ruling in May 2015. After serving four months in jail, King Hamad bin Isa al-Khalifa ordered Rajab’s release by special pardon due to his poor health.Bahrain is a signatory to the International Convention on Civil and Political Rights (ICCPR), and has committed to upholding the freedom of movement and freedom of expression rights. Despite this, the government of Bahrain has continued to violate international human rights with frightful repression. The World Movement for Democracy joins the international community in honoring its international obligations on human rights and urges the government of Bahrain to #SetThemFree. We stand in solidarity with all human rights defenders in Bahrain and call for the immediate and unconditional release of Rajab along with other human rights detainees. The World Movement for Democracy condemns the detainment and harassment by Sudanese authorities of the Center for Training and Human Development (TRACKS) Staff. TRACKS provides training on a range of themes including IT, capacity building and human rights training for the private sector and national organizations. On May 22, 2016, Sudan’s National Intelligence and Security Services (NISS) arrested eight civil society activists. These arrests came after the NISS raided TRACKS on February 29, 2016, as well as in March 2015, and confiscated staff members’ belongings. The detainees are under custody without the right to visitations, experiencing unsanitary conditions in the prison, as well as lacking water and electricity. Some of the detainees are suffering from serious health conditions. NISS has filed a case against these activists and it is unclear how long they will be detained. NISS previously filed cases against the Director of the Center, Mr. Khalafallah Alafif and the Center’s trainer, Mr. Adil Bakheet, for allegedly undermining the constitutional system. The court canceled that case earlier this year due to a lack of evidence. We implore authorities to stop the harassment of the Center. We join others in urging the government to abide by international obligations to human rights. We continue supporting courageous activists and protecting space for independent voices in society. Message to Government of #Sudan – end the harassment of civil society! Investigative journalist, researcher, and digital activist Ismail Alexandrani remains in arbitrary detention since November 29, after being accused of propagating false information and belonging to the banned Muslim Brotherhood group. Alexandrani’s pretrial detention is expected to continue indefinitely pending investigations. His interrogation by Egyptian security agencies is set to resume on Monday, December 7. The arbitrary detention of Alexandrani is a violation of his freedoms of thought and expression, and contradicts Egypt’s constitution and human rights obligations according to the African Charter on Human and Peoples’ Rights. Several international human rights groups have already issued statements calling for his release and expressing concern for the deteriorating climate for press freedom in Egypt. Alexandrani is a distinguished journalist and researcher who has spoken frequently about Sinai affairs in seminars and conferences around the world. Through his writings and social media activity, he has been a vocal critic of the Egyptian government, as well as strong advocate for the political and social integration of marginalized communities across Egypt. In 2009, he was a global winner of the World Youth Movement for Democracy‘s International Essay Contest on Youth and Democracy. The World Movement for Democracy is deeply disturbed by the arrest of Alexandrani and those imprisoned for peacefully exercising their civic and political rights. We call for the immediate release of Ismail Alexandrani and an end to the government’s persecution of independent media and civil society. Message to Government of #Egypt – journalism is not a crime. End harassment of civil society and #FreeAlexandrani! The World Movement for Democracy strongly condemns the mass arrests and harassment of human rights lawyers and activists in China, and joins the international community in demanding that the Chinese government immediately stop the systematic crackdown on civil society in the country. From July 10 to 17, more than 222 human rights lawyers, law firm staff, and activists in China were detained, arrested, or summoned by the local police across the country. To date, nine lawyers and two activists have been criminally detained or put under residential surveillance, and it is feared that these lawyers and activists will face police brutality. In addition, four lawyers and eleven other activists are still incommunicado, and more than 179 persons have been temporarily detained or forcibly summoned by police. In other areas of China, lawyers who have previously participated in human rights cases, or openly criticized officials for violating human rights, were also summoned and questioned by local police. Xie Yang, a lawyer based in Hunan, was taken away on July 11, soon after he signed a public statement with 101 other lawyers to show solidarity with Wang Yu on July 9. On July 1, a new national security law was passed by the National People’s Congress, which allows the authorities to take official actions against potential threats to national security. Legal experts fear that the passage of this new law, with its vague provisions, will be used to justify more restrictions and control of civil society. On April 2nd, prominent human rights activist Nabeel Rajab was arrested in his house under the accusation that he “posted information that could incite others and disrupt civil peace,” and that he “illegally defamed a statutory body,” according to the statement published by the Bahraini Ministry of Interior. As indicated in PEN International’s report, the arrest came after his tweets regarding the torture of prisoners in notorious Jaw prison. Mr. Rajab is the Director of the Gulf Centre for Human Rights and has faced an ongoing campaign of intimidation and harassment for his human rights work. The World Movement for Democracy strongly condemns the arrest and joins the international community in demanding that the Bahraini government release Mr. Rajab and investigate the allegations of torture in Jaw prison. In the past year, Mr. Rajab was detained several times for speaking out about human rights violations in his country. Over the past few weeks, Mr. Rajab has tweeted about the March 10th violent clash between prisoners in Jaw prison and Bahraini security forces and the violence inflicted on the prisoners in the aftermath. Reports surfaced of prisoners being subjected to indiscriminate beatings after the clash and several prisoners of conscience were separated from other inmates and banned from communicating with the outside world. The World Movement for Democracy is very concerned that the Bahraini authorities will use this charge to impose a new harsh sentences on Mr. Rajab. Before the April 2nd arrest, Mr. Rajab was already facing a possible six months of prison time for another tweet. In May 2014, he completed a two-year prison sentence after taking part in peaceful assemblies and protests criminalized by the government. Show your support by telling Bahrain’s Ministry of Foreign Affairs (@bahdiplomatic) that the world community is watching and condemns the actions of their security forces. Click here to tweet this message!